Gerlinde Keating has just posted several new artworks! Colorful contemporary artwork and black white fine art photographs. 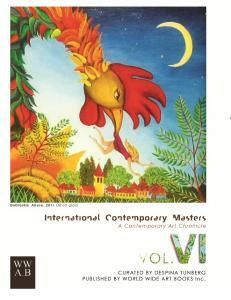 Her work has been published before and just recently it has been published in the new edition "Current Masters" by WWAB. Abstract Art creates illusions. Check out Gerlinde Keating's new video. Check out Gerlinde Keating's Throw Pillow Collection. 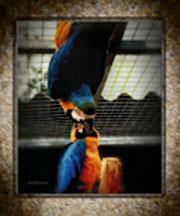 Gerlinde Keating, an award-winning and published Photographer and Artist, has added new Artwork to her Galleries. Take a moment and browse through her Galleries including the Throw Pillow Gallery. When you stumble upon a piece of art that moves you, don�t worry if it matches the sofa. It can be much easier to adjust your decor to complement your art than to find a piece of art that is both meaningful to you and already fits an existing color scheme. Play up the staggering height of a beautiful loft with an equally tall vertical print. Consider nestling a sculpture or hanging a mobile in a forgotten corner. A series of vintage portraits or posters along the wall of a staircase can add texture and character. Know your home�s strengths so that artwork can be a welcome part of your living space. Arrange artwork for convenient viewing. One of the last elements to think about it is where to place your artwork. A sculpture in the middle of a small hallway is not conducive to fluid movement, but when placed in a proper space it can be fully admired by guests. Place art above seating arrangements or better yet, face your seats to the artwork so it can be a conversation starter. Give proper lighting and visibility for easy art appreciation moments. Gerlinde Keating's website www.photoartbygk.com provides links to her artwork, to her SOFTPILLOWSBYGK Collection and to her ARTSTUDIOGK. 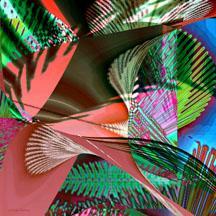 Gerlinde Keating has just published new artwork. Don't forget to check out her THROW PILLOW GALLERY at http://gerlinde-keating.artistwebsites.com..
My art work has been published in INTERNATIONAL CONTEMPORARY MASTERS. WWAB (World Wide Art Books) chose eight images for publication.The book is availabe on www.photoartbygk.com. Don't forget to read my Blog: http://gerlindekeating.blogspot.com. There are many interesting subjects that are covered.